A lap dog is a small breed of dog that can fit comfortably in your lap. Some of the most popular lap dog breeds include the Chihuahua, the Yorkshire Terrier, the Maltese, the Miniature Poodle, and the West Highland Terrier among others. 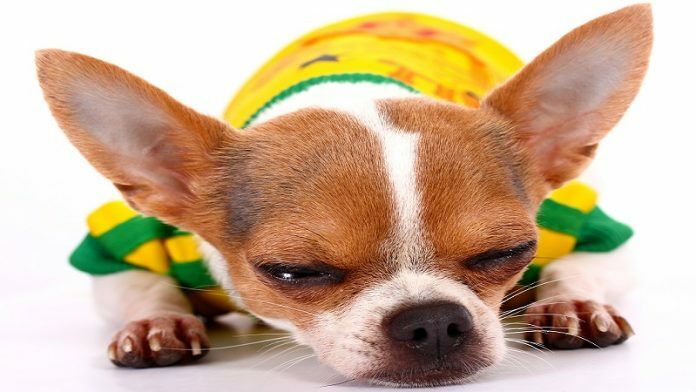 If you’re looking for a new dog, small lap dogs can be an excellent choice for a variety of reasons, although they do have their disadvantages over a larger dog. A small lap dog can be easily taken on a trip and are more likely to be allowed in hotels than are larger dogs. Lap dogs are sometimes even allowed in stores that don’t characteristically allow dogs as long as they’re quite and well behaved. Many people purchase special carriers for their lap dogs and carry them almost everywhere. Think of Paris Hilton and Tinkerbell. In general, lap dogs spend more time with their owners than larger dogs since they can so easily carried around with you. As a result, a lap dog will almost certainly form a very strong bond with you. A small lap dog requires smaller quantities of food due to its small size. In addition, if you have to take your lap dog to a kennel or to be groomed, you’ll generally be charged less than you would for a larger dog. If you have young children, a lap dog can be an excellent choice. Smaller dogs tend to be less intimidating to children, although it’s important that you teach your children to handle your dog humanely. Two lap dog breeds that are particularly fond of children are the Bichon Frise and the Pug. You can dress up you lap dog for special occasions and show him off. A daily walk may be all you need to keep a small lap dog breed in good shape. They’re usually quite active in the house and get most of their exercise running through the house and the backyard. Many lap dog breeds have a propensity to bark inappropriately. This is particularly true of the Yorkshire Terrier and the Chihuahua. If you adopt one of these dog breeds, plan on spending some time helping them curb this annoying habit before you alienate your neighbors. Because of their small size, a lap dog can easily be stepped on or injured by a human. Plus, they don’t stand much of a chance in a dog fight with a larger dog. To make matters worse, these little dogs often don’t know their limitations and have a “big dog” mentality. This can spell disaster when your lap dog takes on a Rottweiller. A small lap dog breed may not be the best choice if you’re looking for a canine running partner or frisbee companion. Despite their best efforts, they’re probably not going to be able to keep up with you if you run at a fast pace. Plus, a frisbee is usually too large to fit in their mouths. Lap dogs appreciate a daily walk but get most of their exercise running through the house. Although certain lap dogs such as the Yorkshire Terrier can be quite aggressive towards suspicious strangers, they don’t have the force to back it up. Are you going to feel safer with a Yorkshire Terrier guarding your home or a Rottweiler? A lap dog tends to form a strong bond with its owner and needs lots of stimulation and attention from its family. They are true “people dogs”. Be sure to weigh the pros and cons of owning a lap dog breed before making the commitment. In the right hands, a lap dog can be a very satisfying pet.